entity it receives as a parameter. generated JPA controller from our code. database schema, which saves us a lot of potentially tedious work. 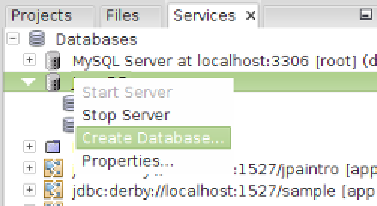 Databases , right-click on JavaDB , and select the Create Database... option.